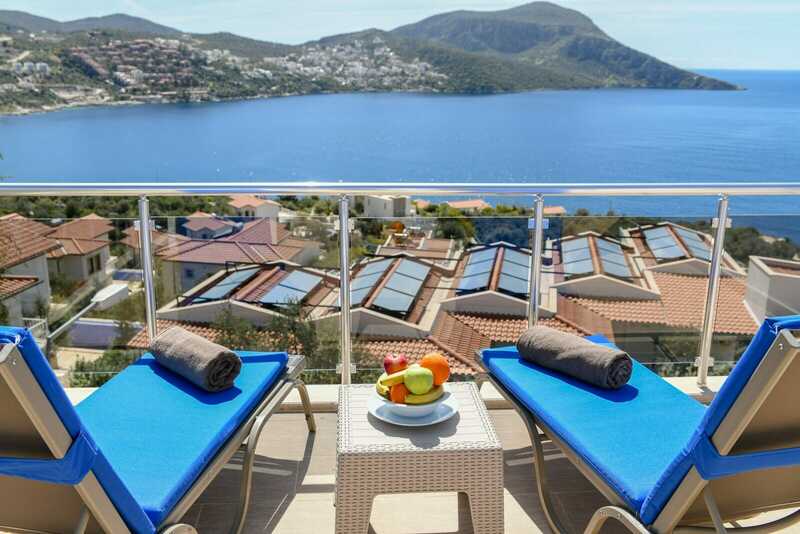 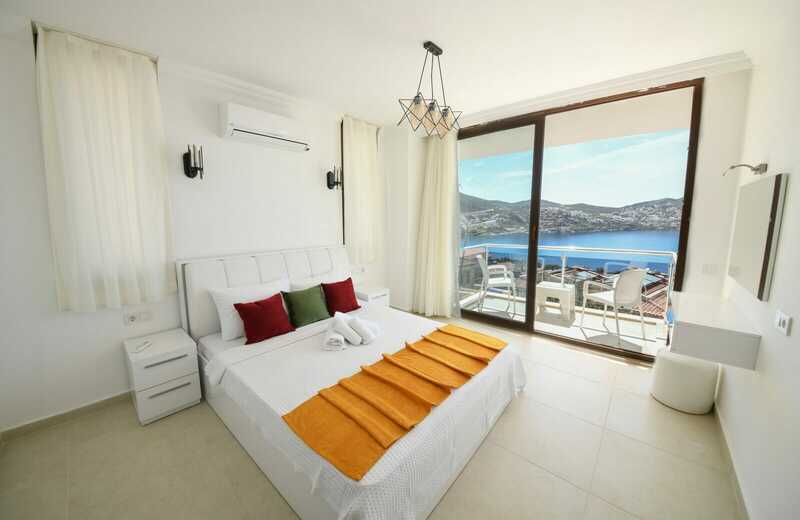 Iskele 4 is a 2 bedroomed apartment providing contemporary holiday accommodation in a highly desirable location just behind the Asfiya SeaView Hotel and a short walk to Kalkan’s picturesque old town. 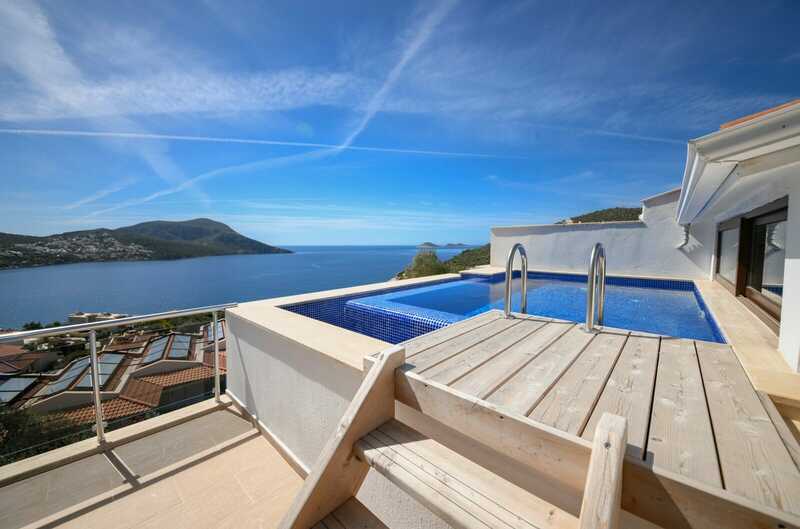 The apartment has its own rooftop plunge pool and sun deck from which to enjoy the most stunning sea views of Kalkan bay. 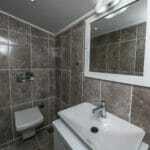 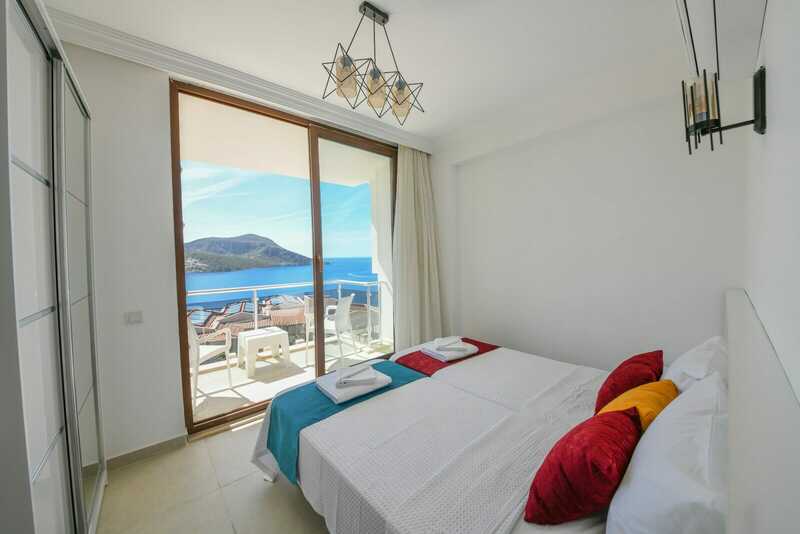 On this level there is a double and twin bedroom, each with a furnished balcony with beautiful views over Kalkan bay. 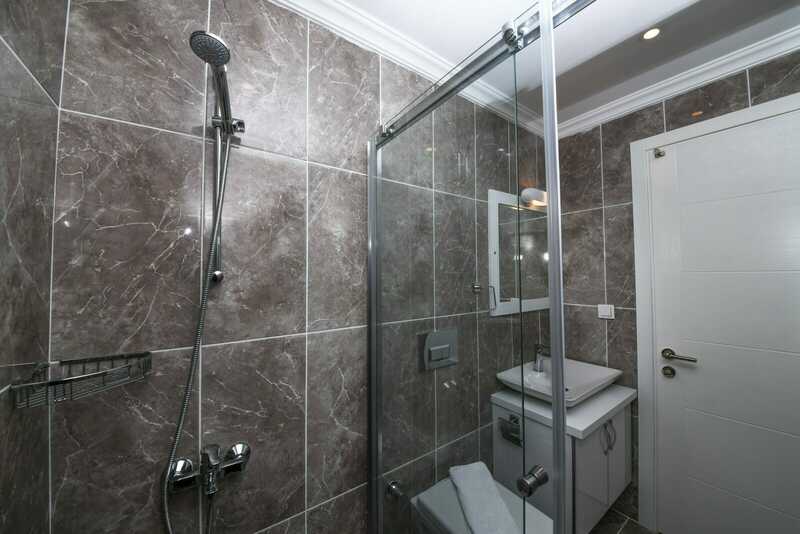 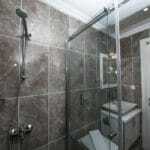 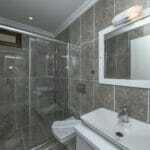 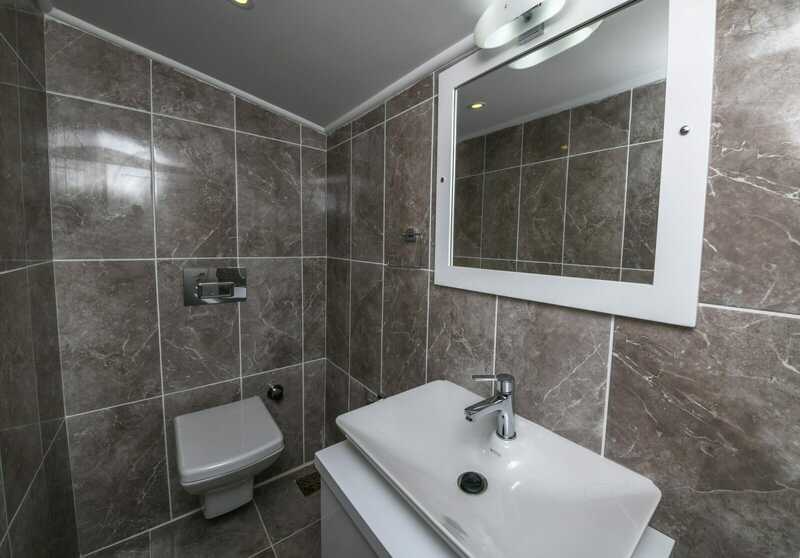 Both bedrooms share a bathroom with WC and shower. 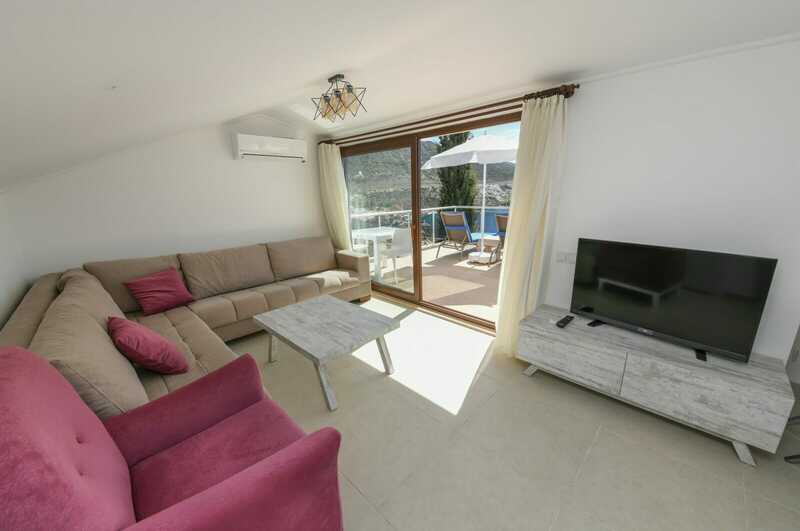 Marble stairs lead up to attic-style open plan kitchen and living area with seating for 4 guests, lounge area with Satellite TV and Wifi. 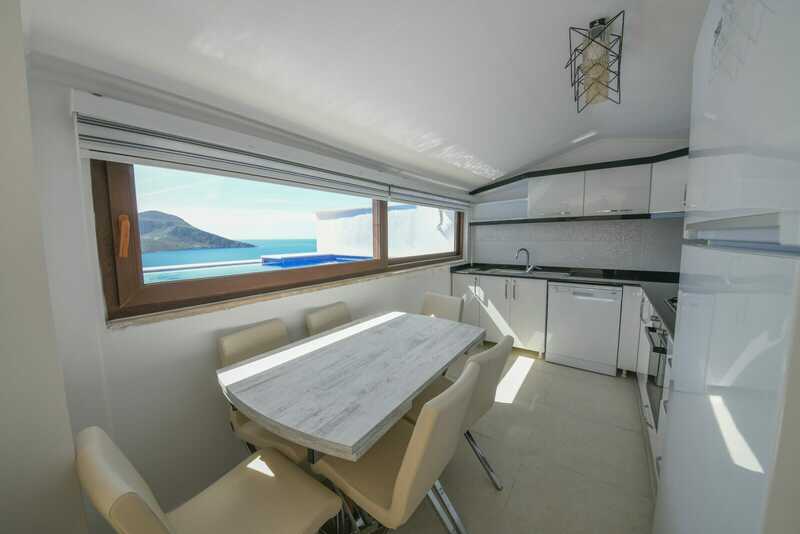 Glass doors open out on to the roof terrace with private plunge pool. 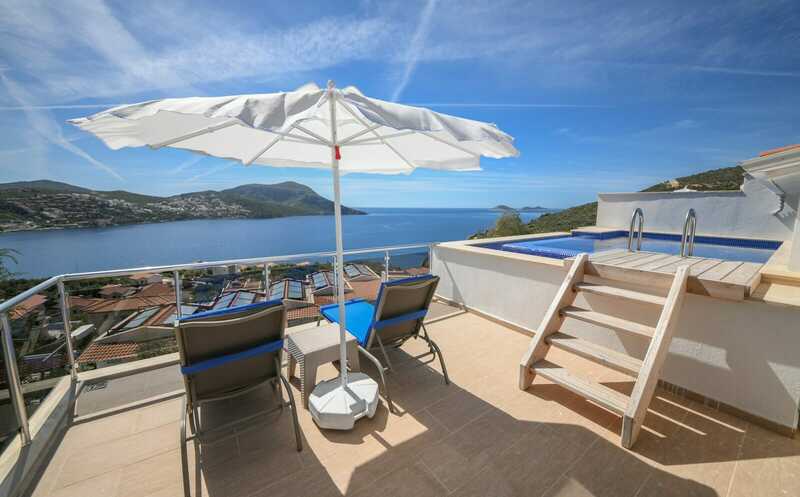 The terrace is furnished with sun loungers, table and chairs and is the perfect place to absorb the magnificent sea views of Kalkan bay. 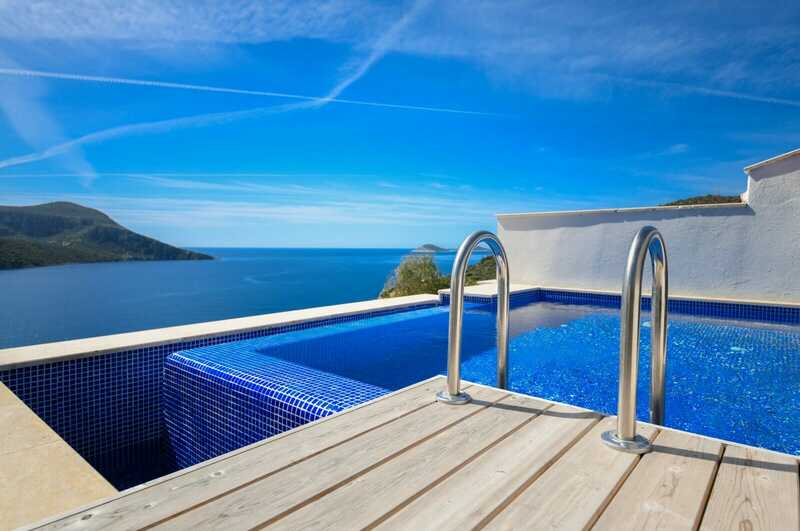 Plunge pool size approx: 1.5 x 2m which is accessed by a ladder. 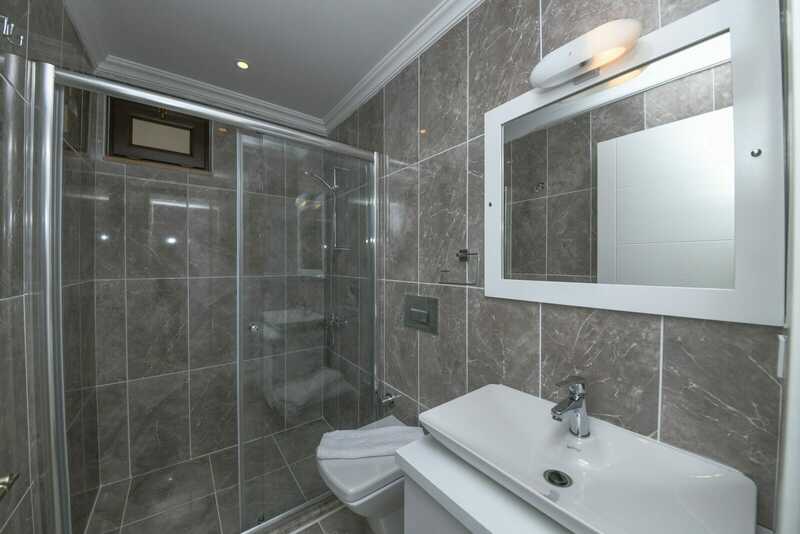 Please note; Iskele 3 and 4 are on the upper floors and are not suitable for young children. 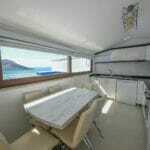 The upper floor attic style living area is restricted in height in places.